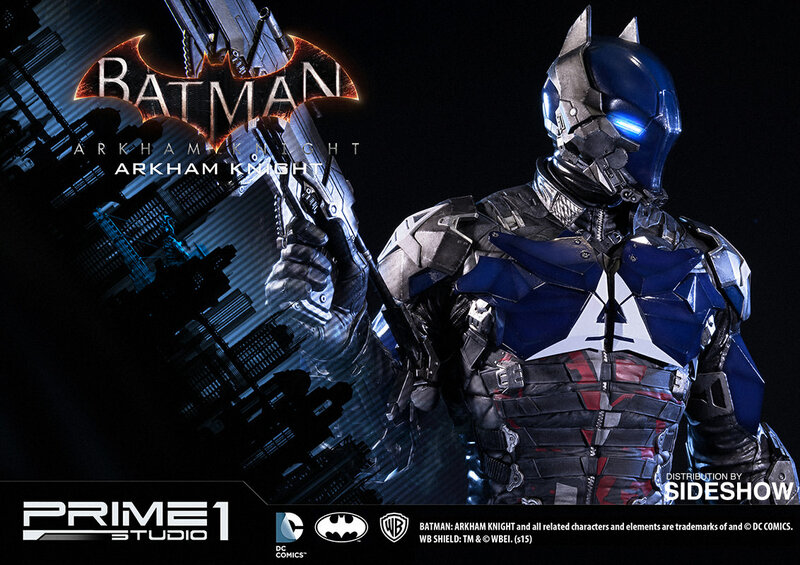 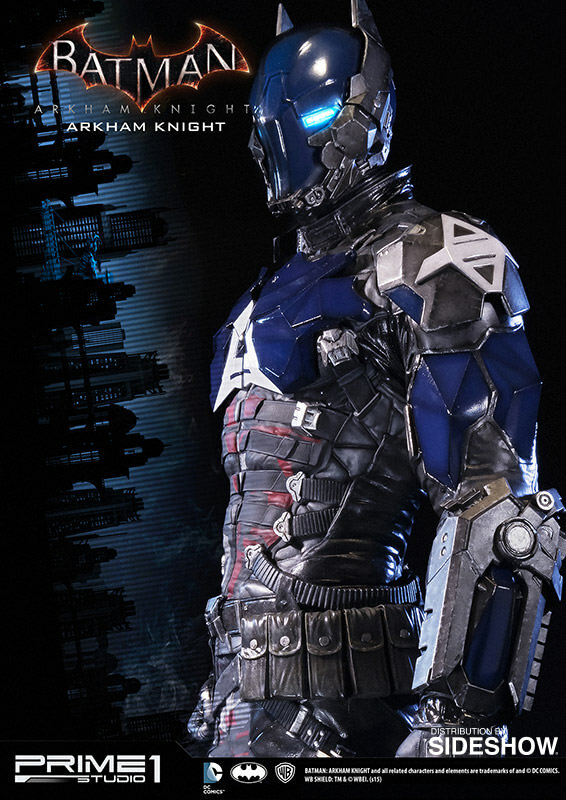 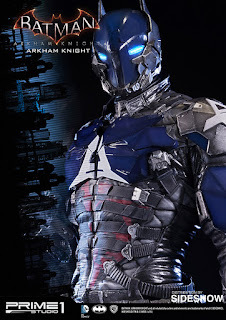 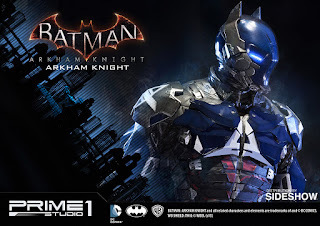 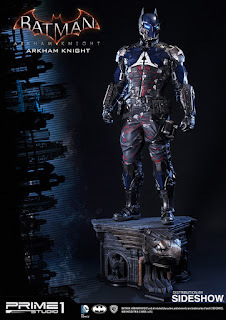 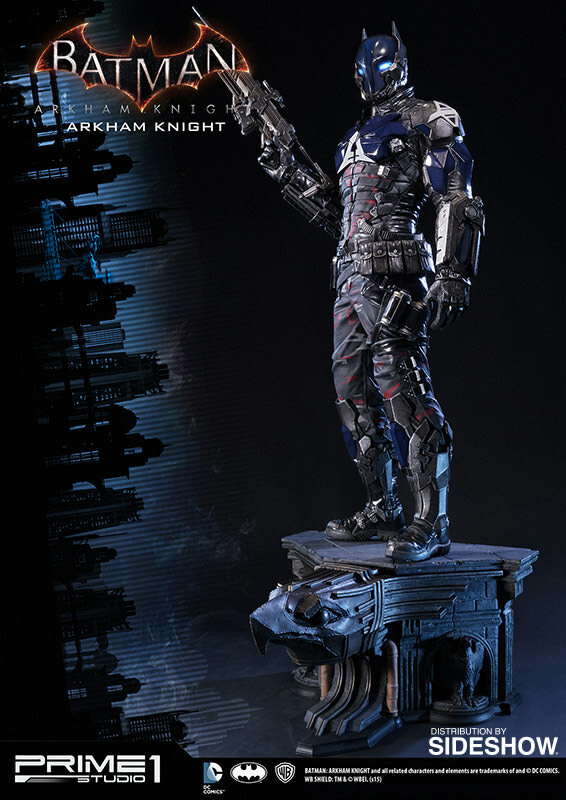 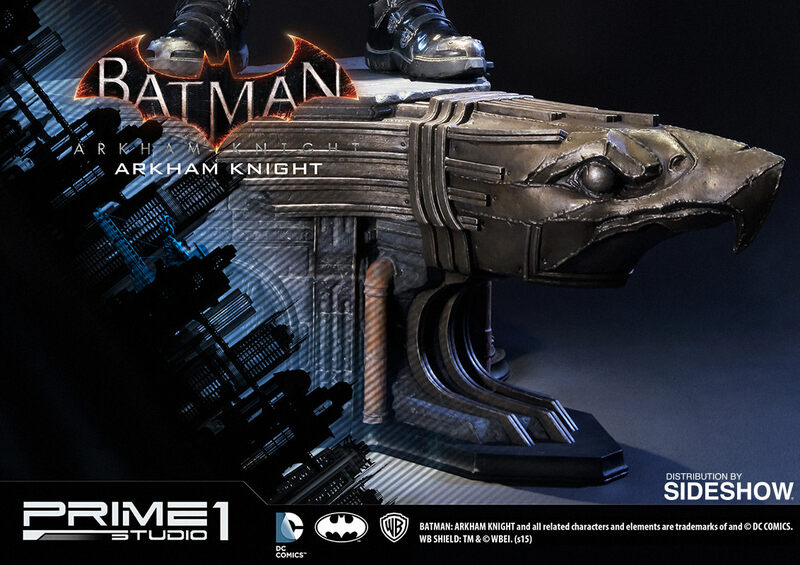 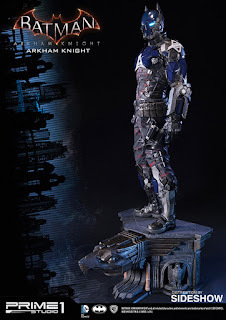 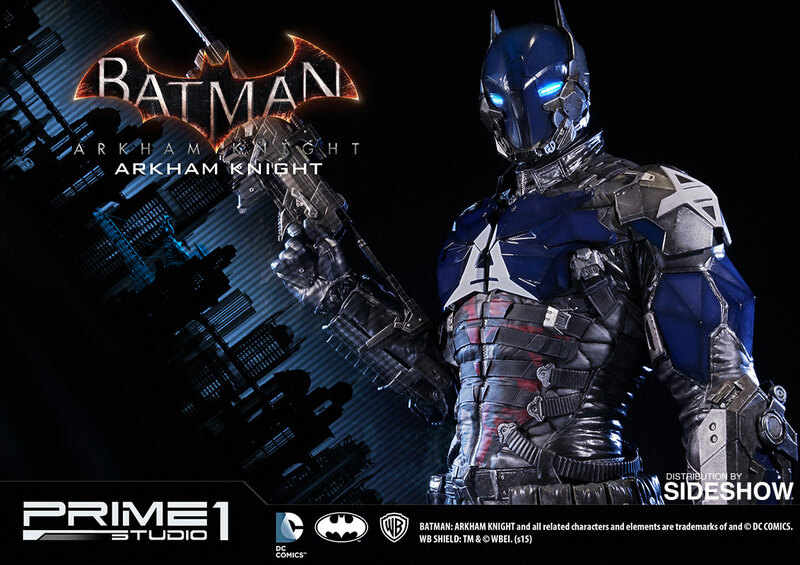 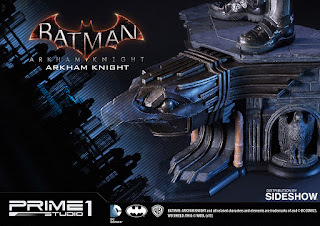 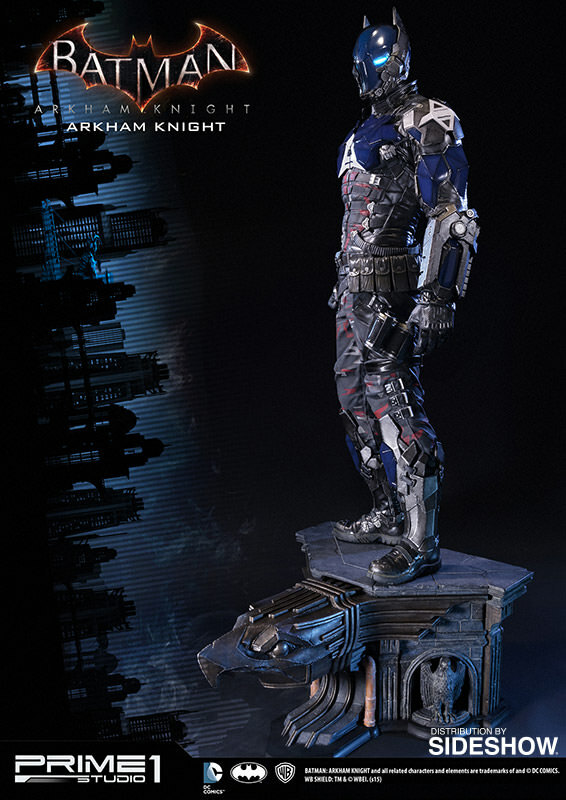 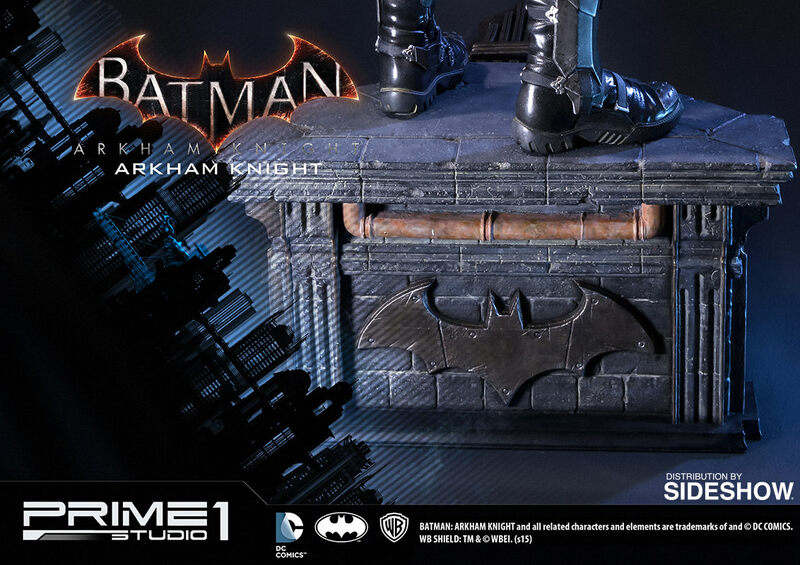 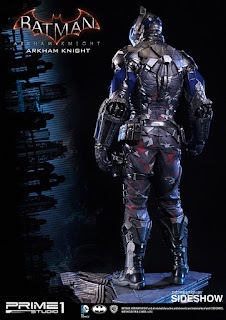 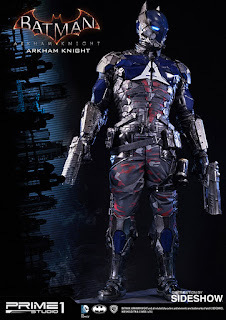 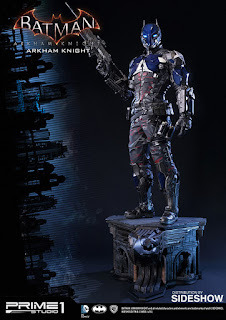 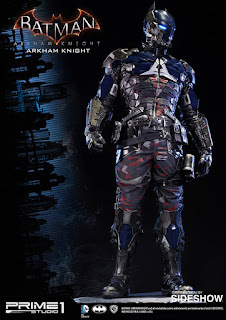 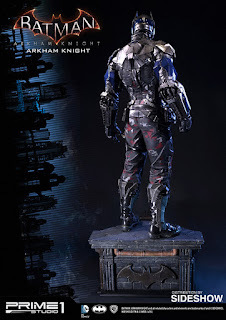 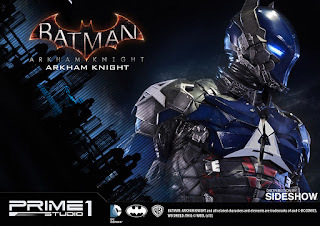 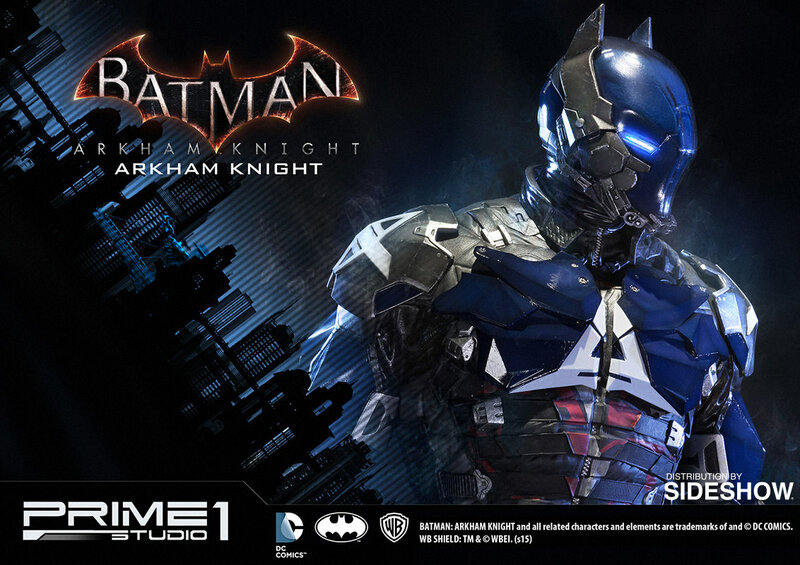 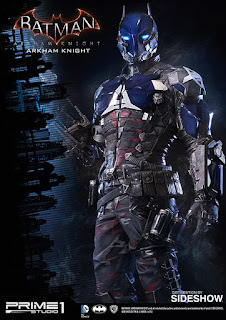 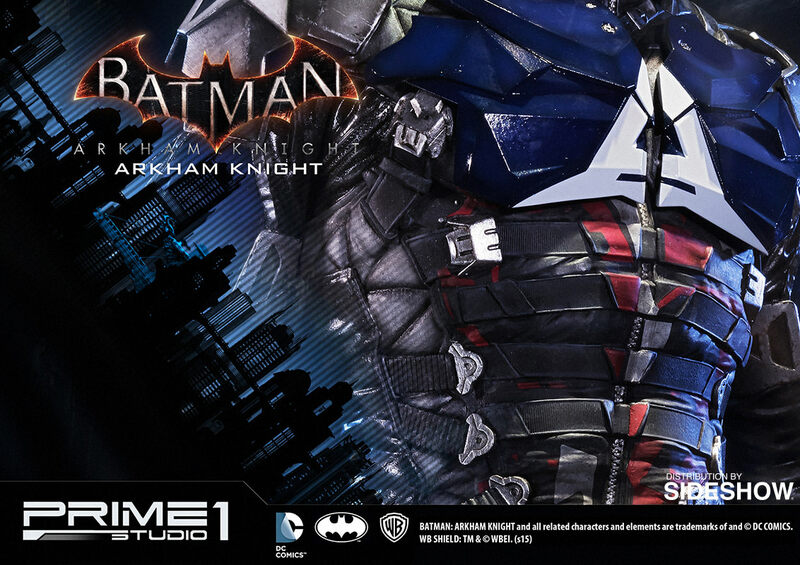 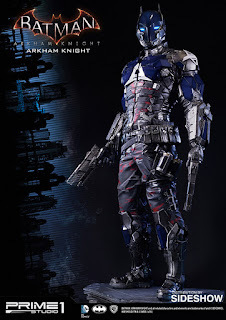 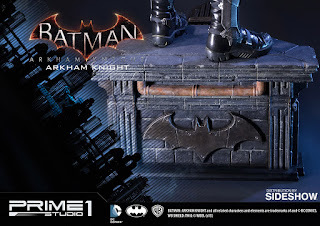 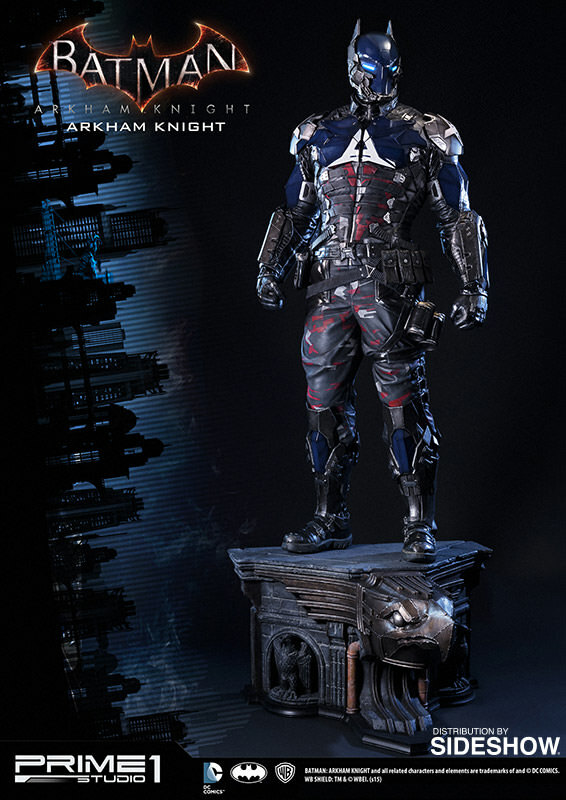 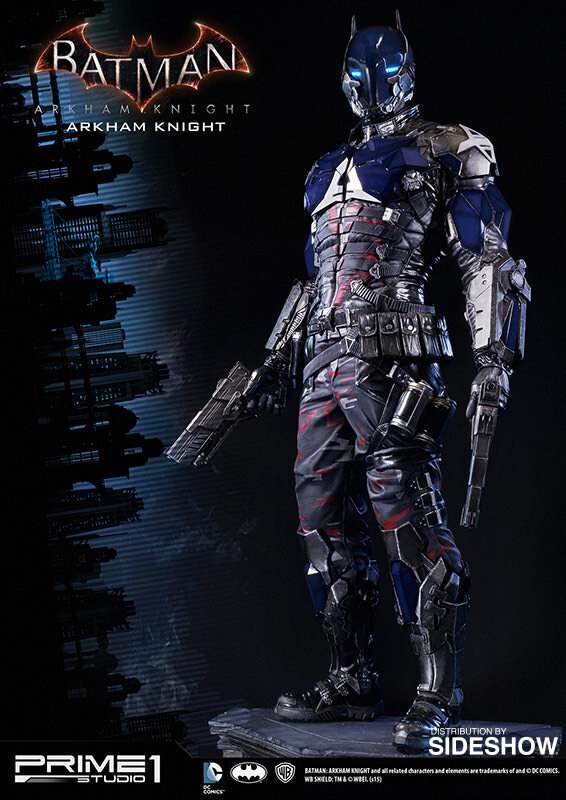 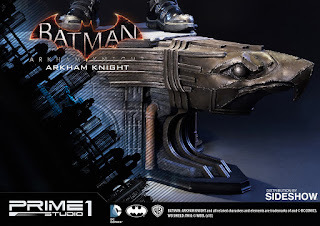 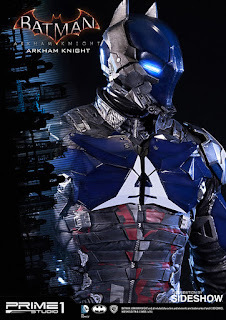 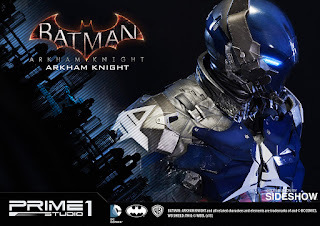 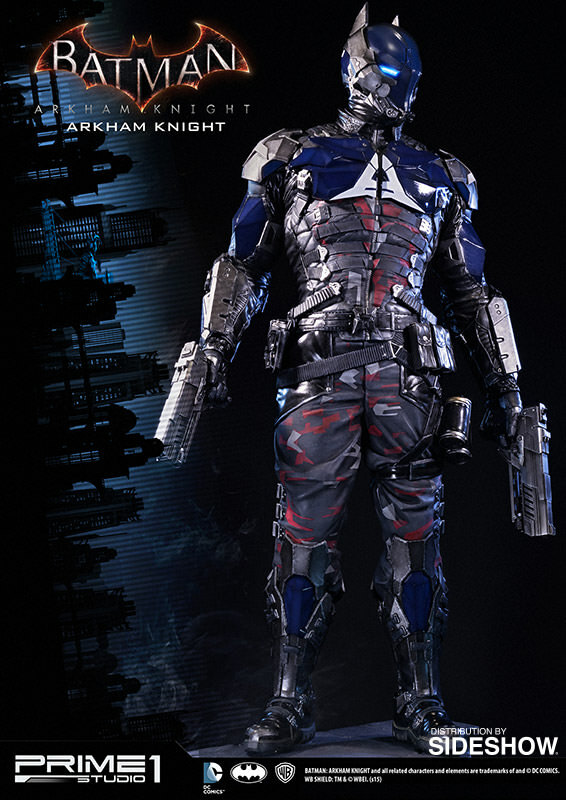 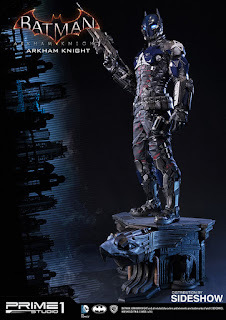 Arkham Knight Polystone Statue by Prime 1 Studio is now available on PreOrder! 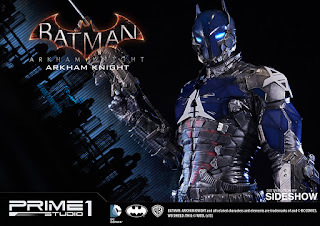 Grab the Exclusive which includes Interchangeable head sculpt and chest piece! 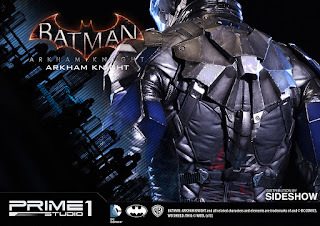 Check out full pics and details below from SideShow Collectibles! 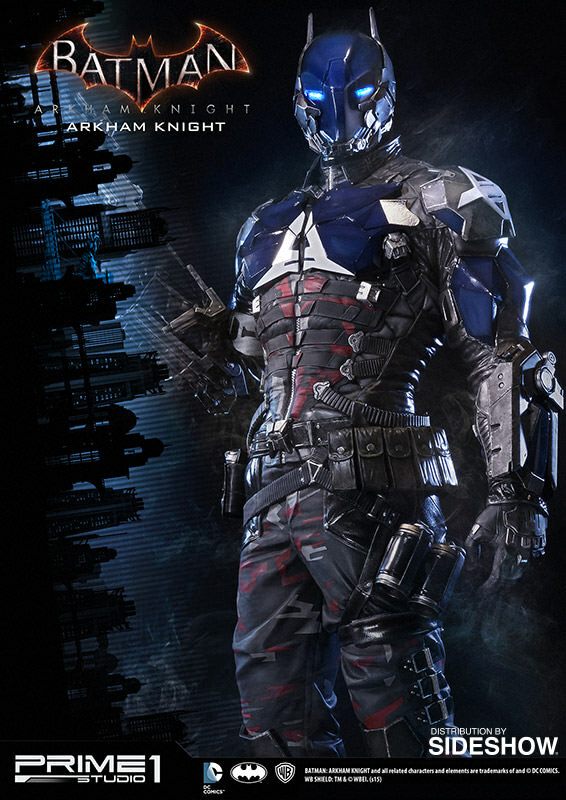 "Always defending the weak and the helpless. 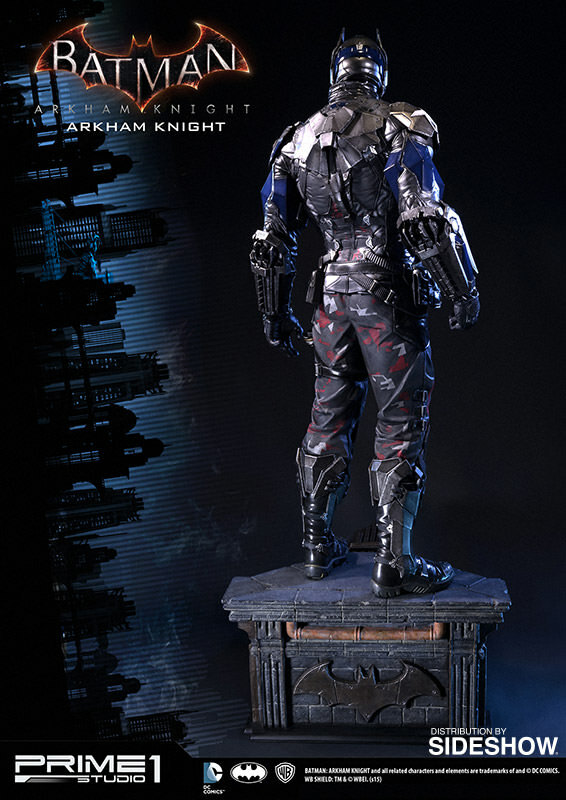 That's what I like about you. 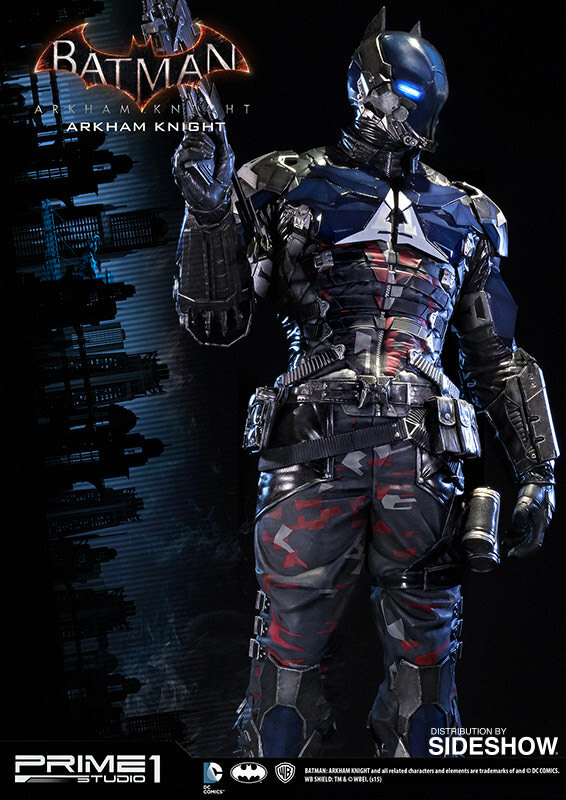 You're predictable. 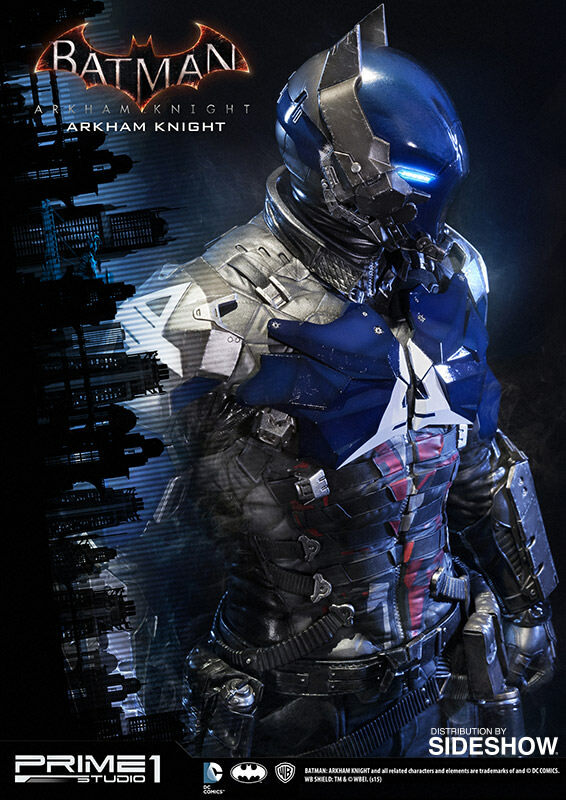 And that's why we're gonna win. 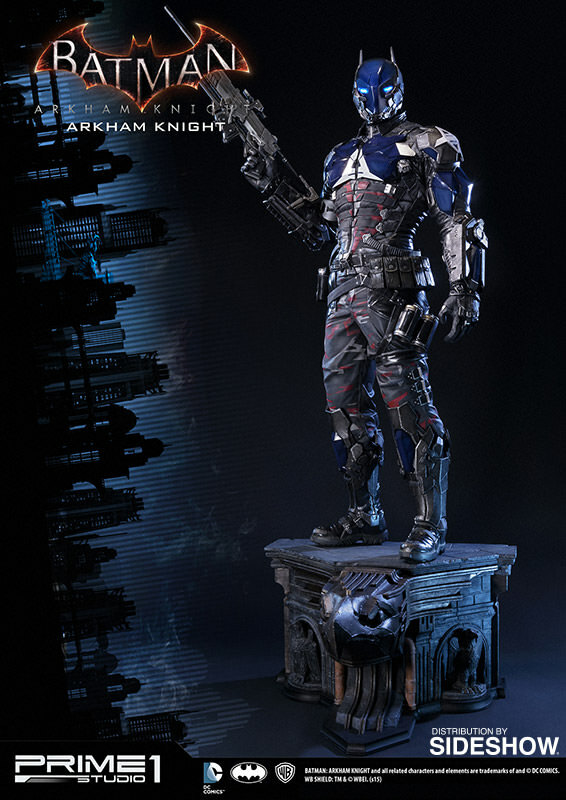 We know your move before you do. 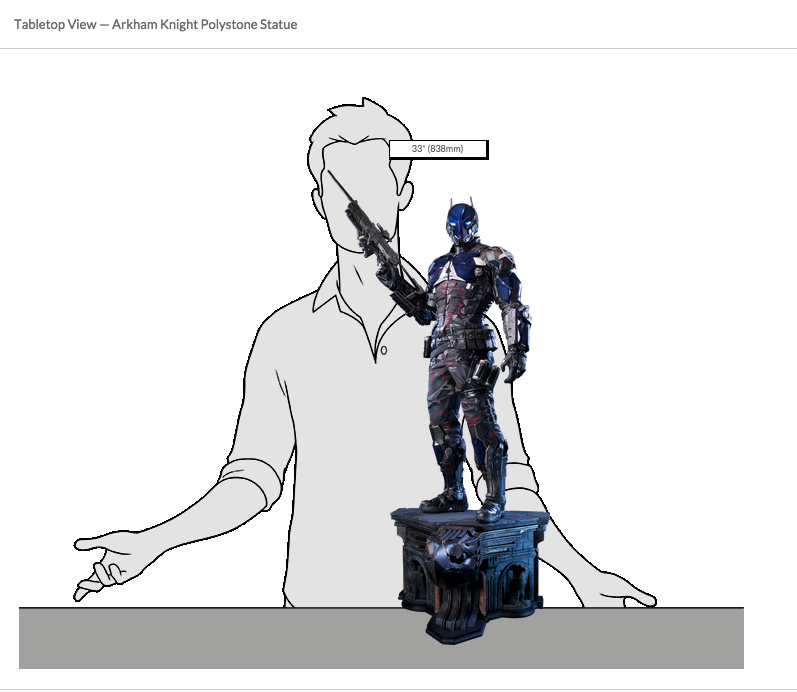 We know how you think!" 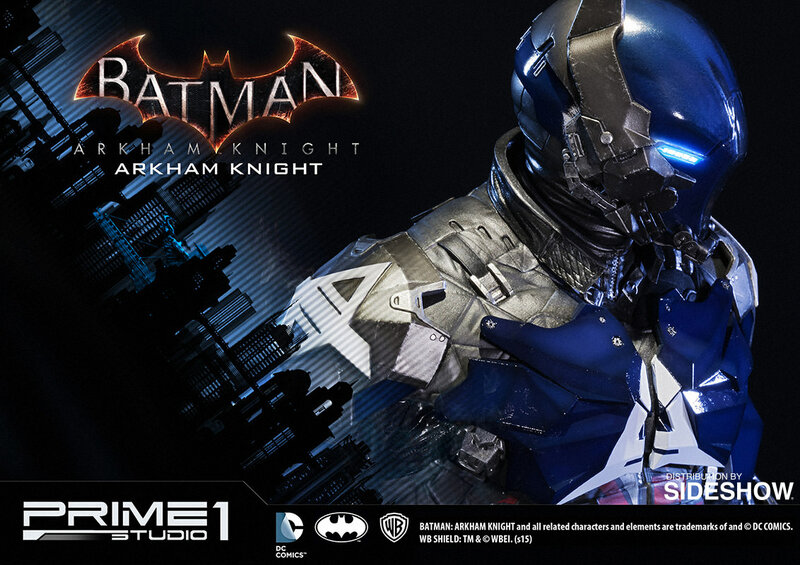 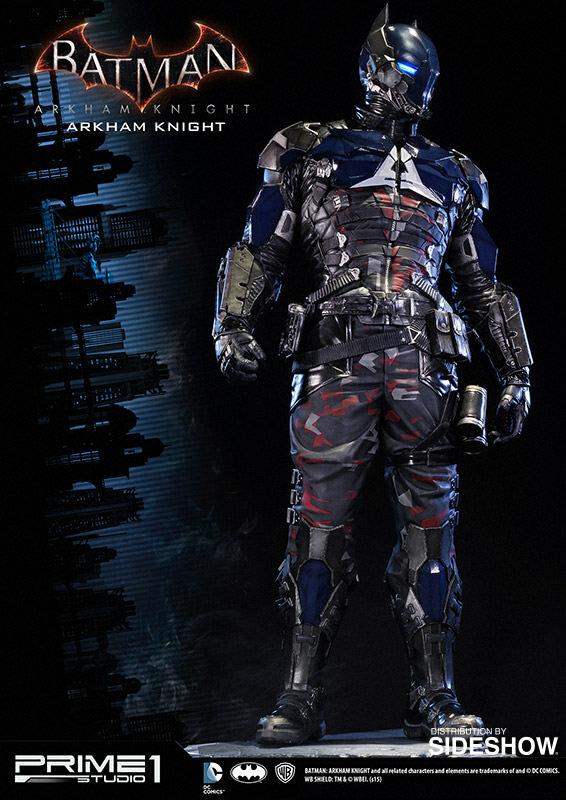 Sideshow Collectibles and Prime 1 Studio are proud to present Arkham Knight from the Batman: Arkham Knight video game. The Arkham Knight is a new villain in Gotham and an antithetical version of Batman. 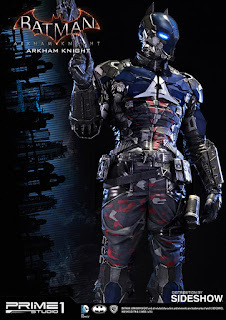 He wears a militaristic Batsuit and an Arkham symbol on his chest. 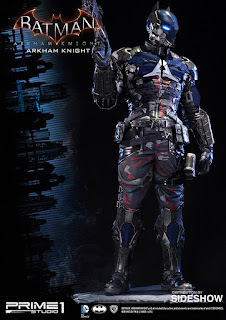 He is one of the main antagonists in the game and seems to have an unknown connection with the Dark Knight. 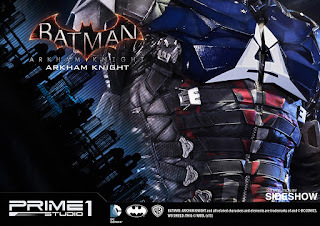 Batman fans, don't miss your chance to add the latest Supervillain to your collection!